Stay hydrated with some help from Vault-Tec! This officially licensed Fallout travel cup with straw holds 18 ounces of your favorite beverage (including Nuka Cola)! 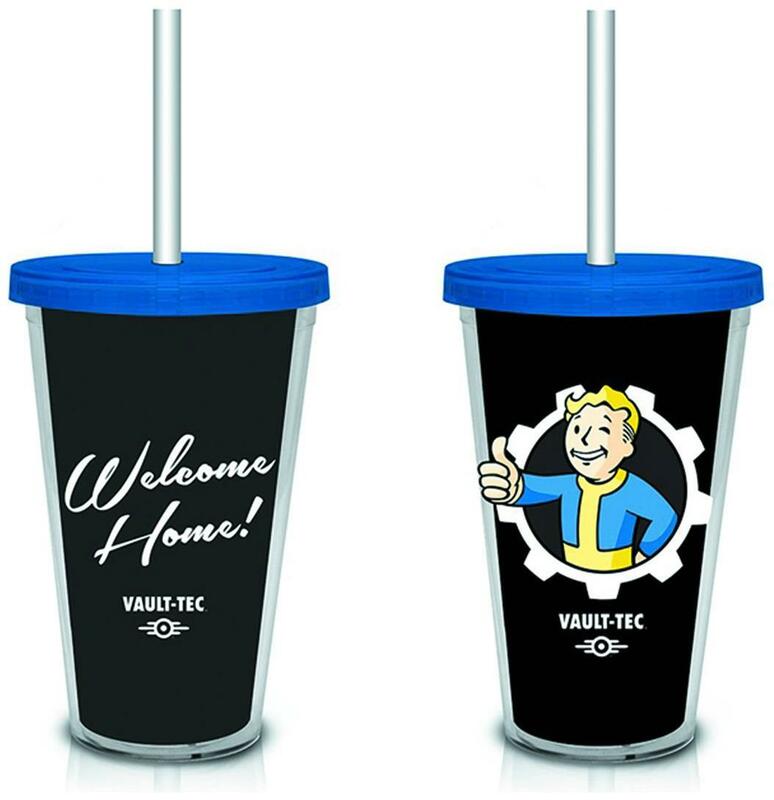 Stylish black cup features the text "Welcome Home" and Vault Boy and the Vault-Tec logo on the other side. Features a secure pop on lid and it even comes with a plastic straw! The perfect gift for vault dwellers, wasteland wanderers and Fallout fans. Stay hydrated with some help from Vault-Tec! Holds 18 ounces of your favorite beverage (including Nuka Cola)! 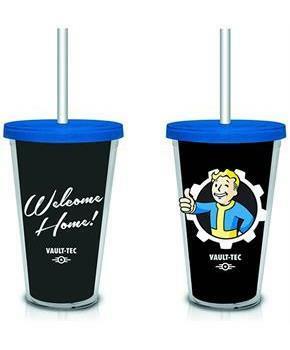 Stylish black cup features the text "Welcome Home" and Vault Boy and the Vault-Tec logo on the other side. Features a secure pop on lid and it even comes with a plastic straw! The perfect gift for vault dwellers, wasteland wanderers and Fallout fans.